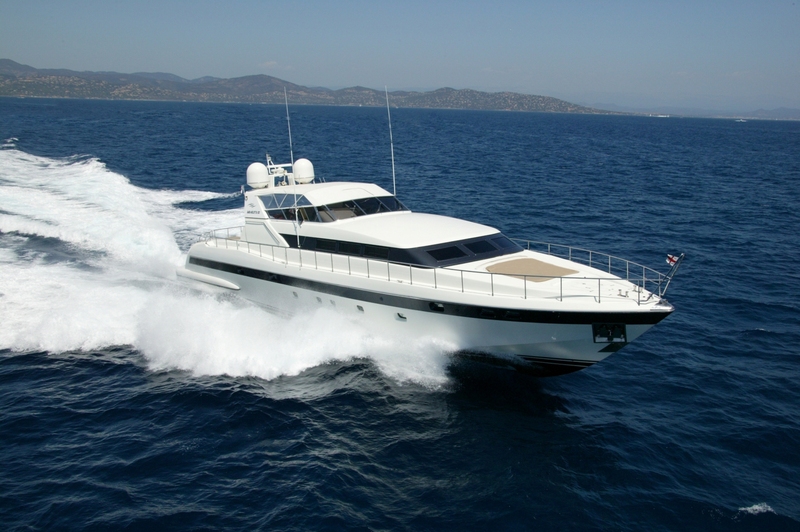 Luxury Mediterranean motor yacht Equilibrium is a sleek and sporty Mangusta 100 footer and is one of the most popular style motor yachts on the Riviera. 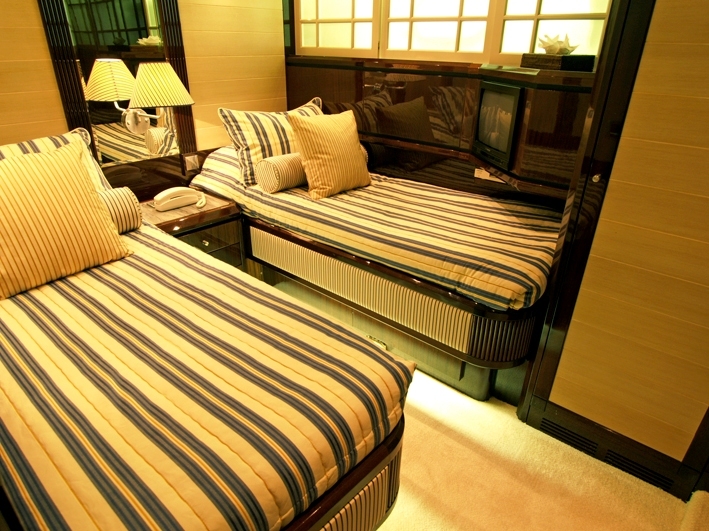 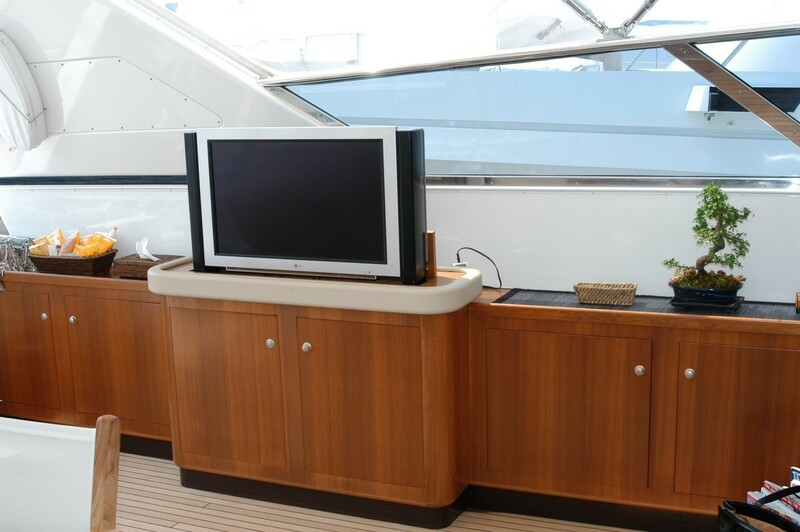 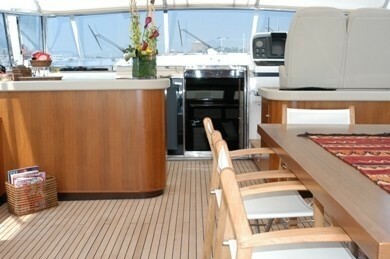 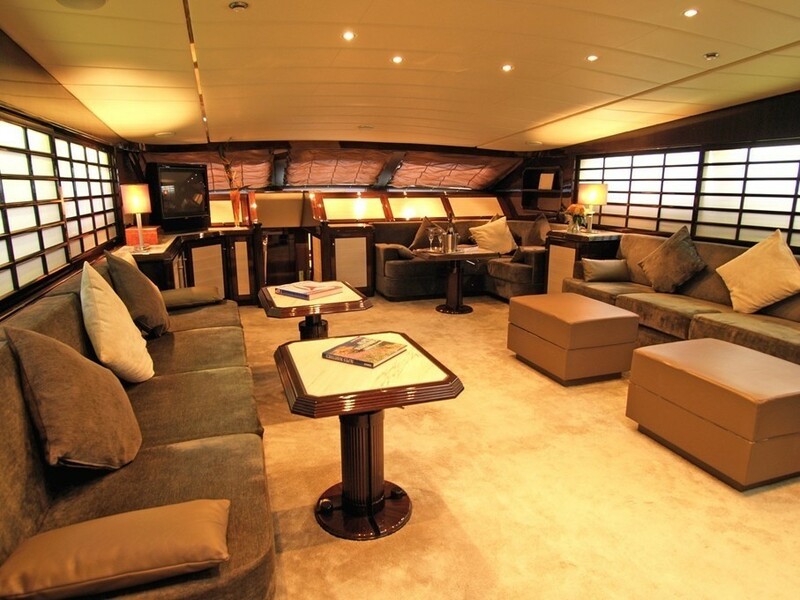 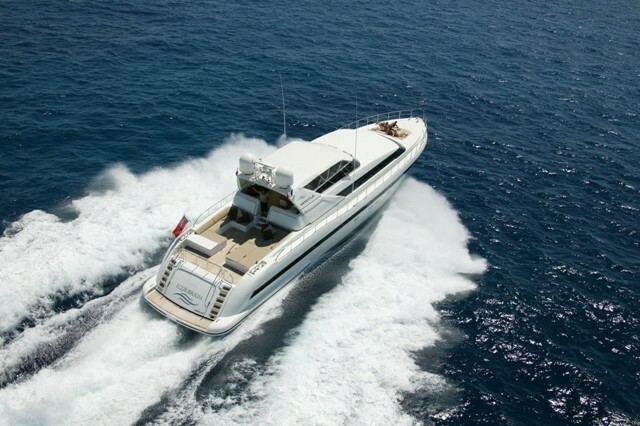 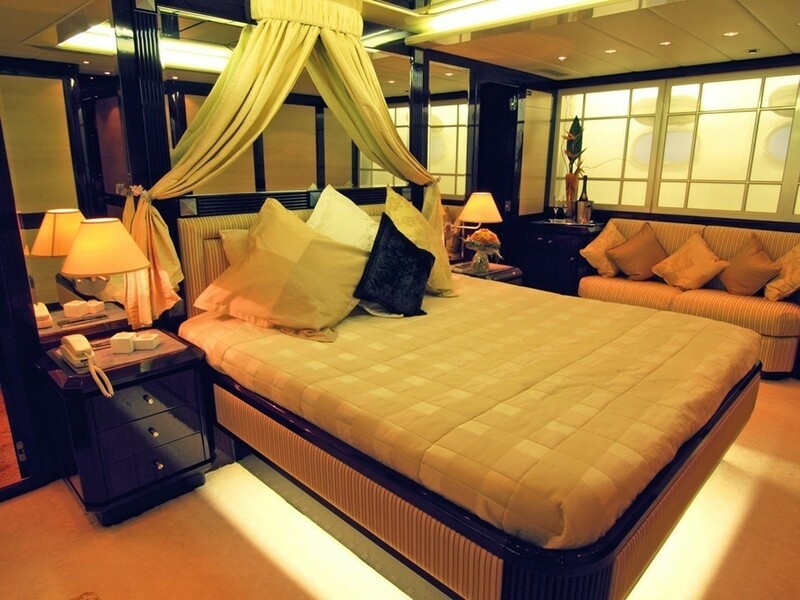 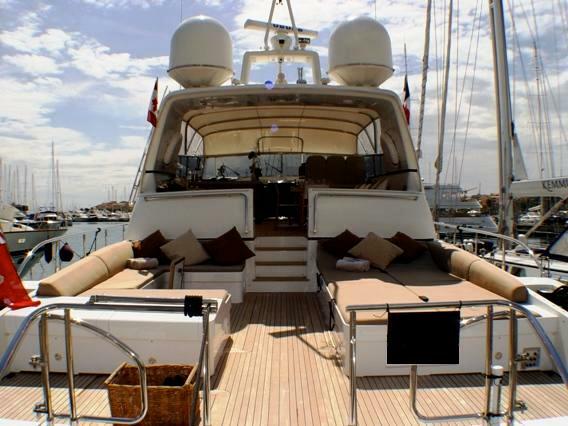 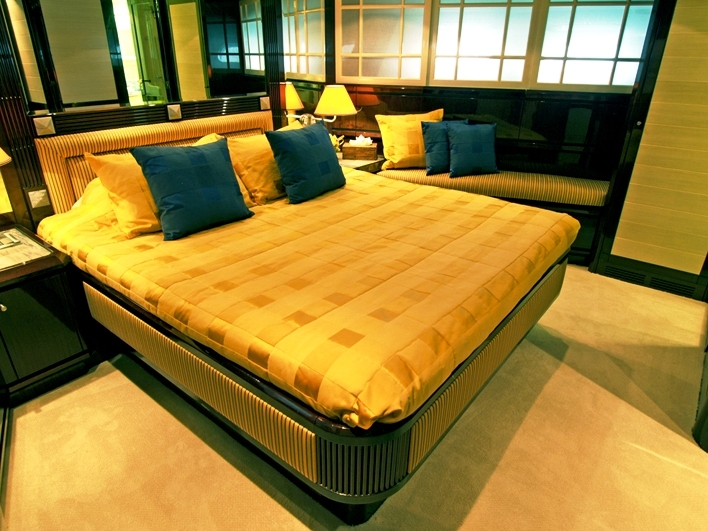 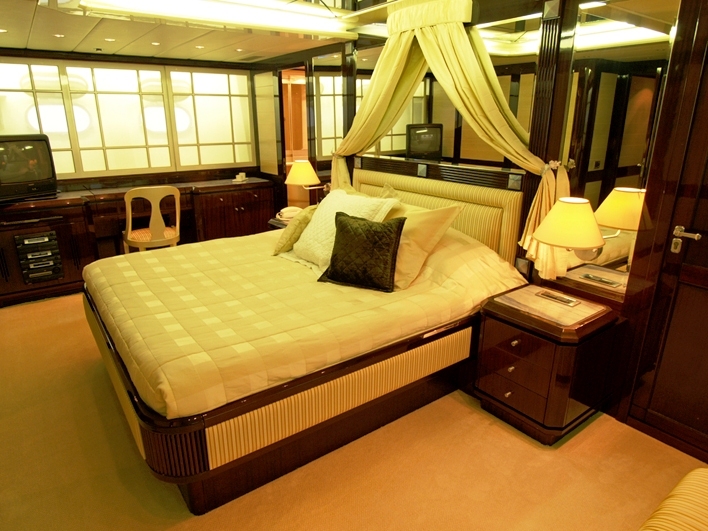 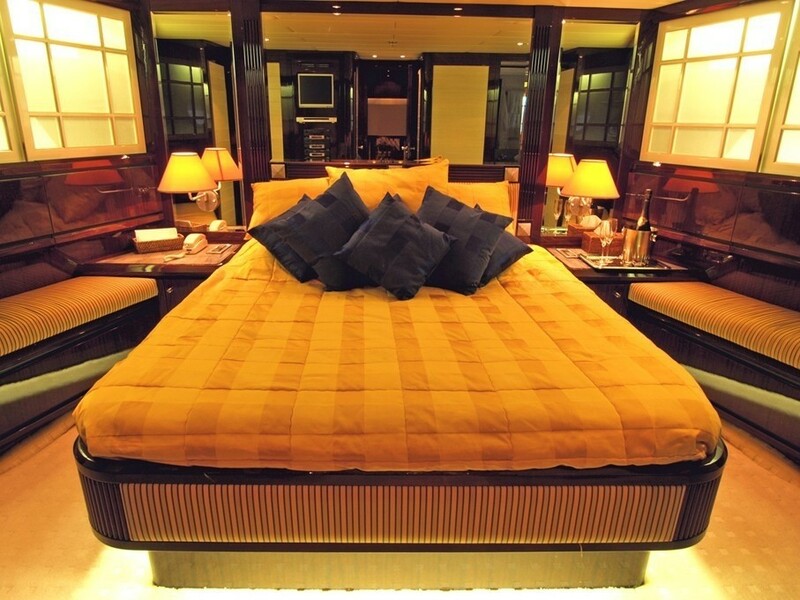 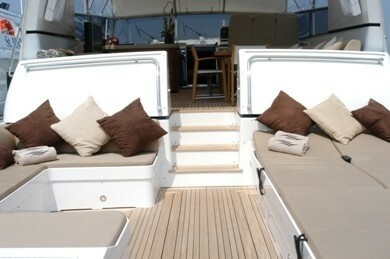 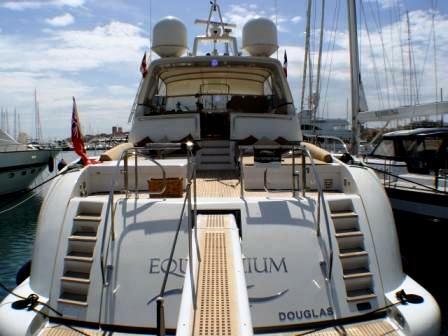 Motor Yacht EQUILIBRIUM was built in 1996 and refitted in 2005. 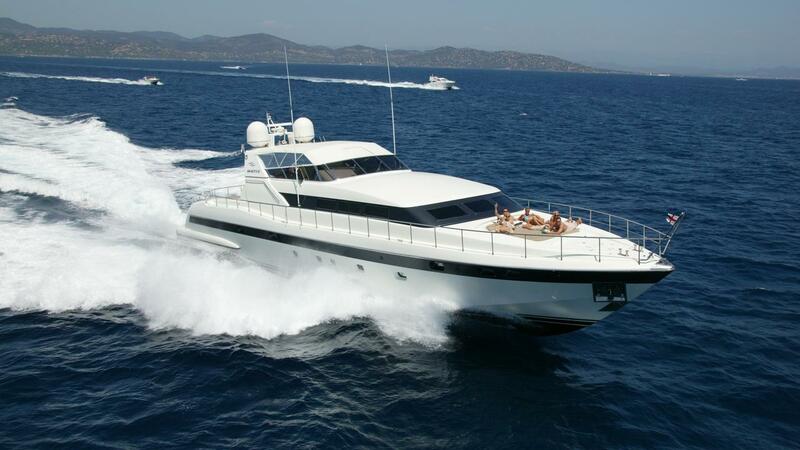 With two powerful engines and a cruising speed of 24 knots, she is a great economical option for fast, open style Riviera charter yacht. 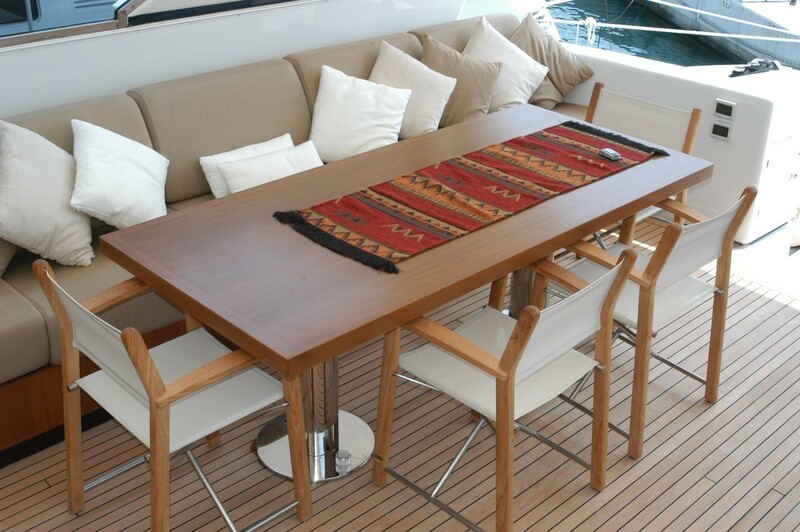 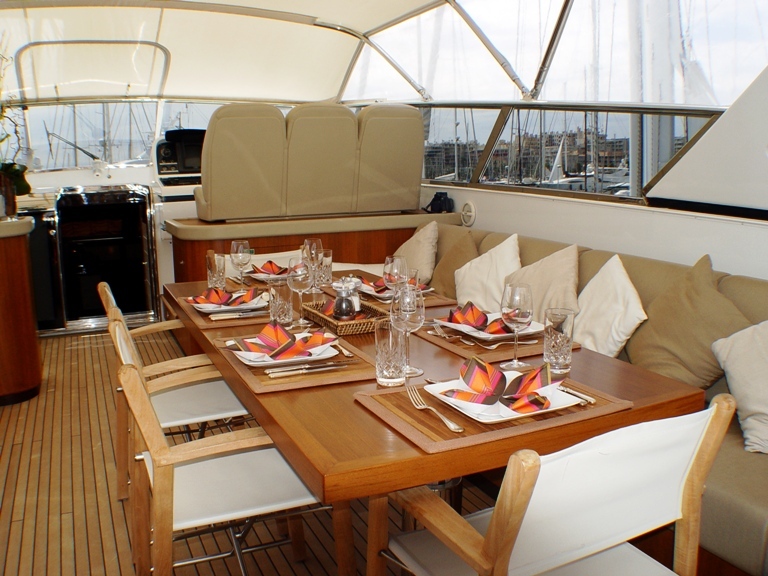 The designer interior layout of motor yacht Equilibrium and her great combination of speed, style and space lends the yacht ideally to Mediterranean yacht charter. 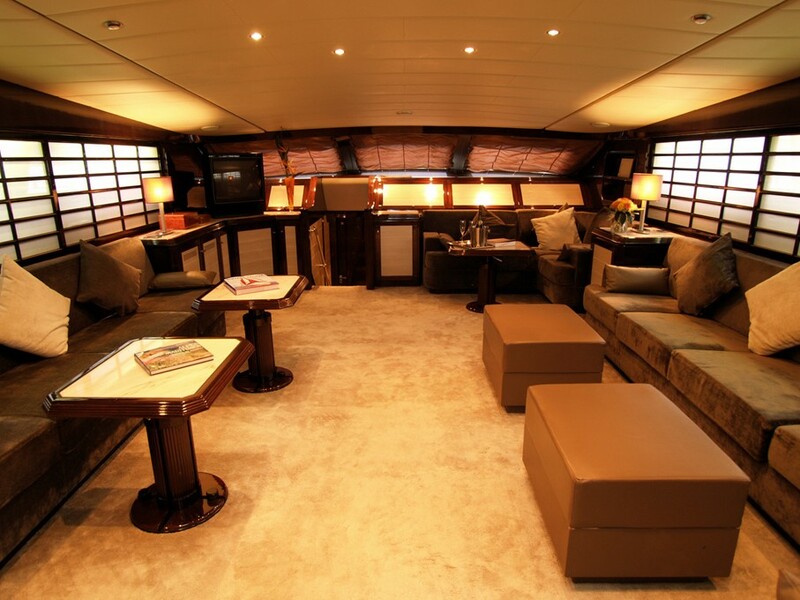 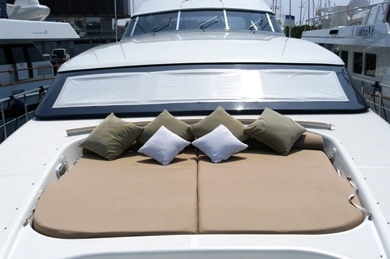 Her main deck is where charter guests will spend most of their time as this fantastic area features two large sun pads aft, a generous swim platform, a deck lounge, with bar, and dining - as well as another sun bathing up on the yacht’s fordeck. 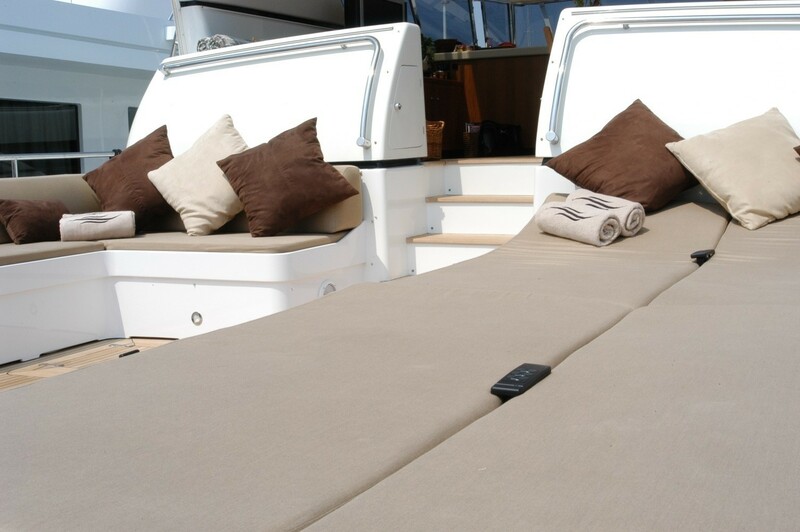 Equilibrium is a high performance yacht which provides five star service from four professional crew to ensure high quality enjoyment on your Mediterranean yacht charter. 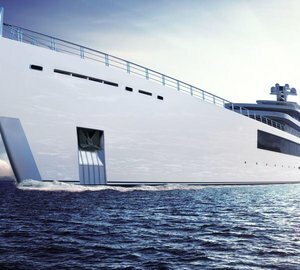 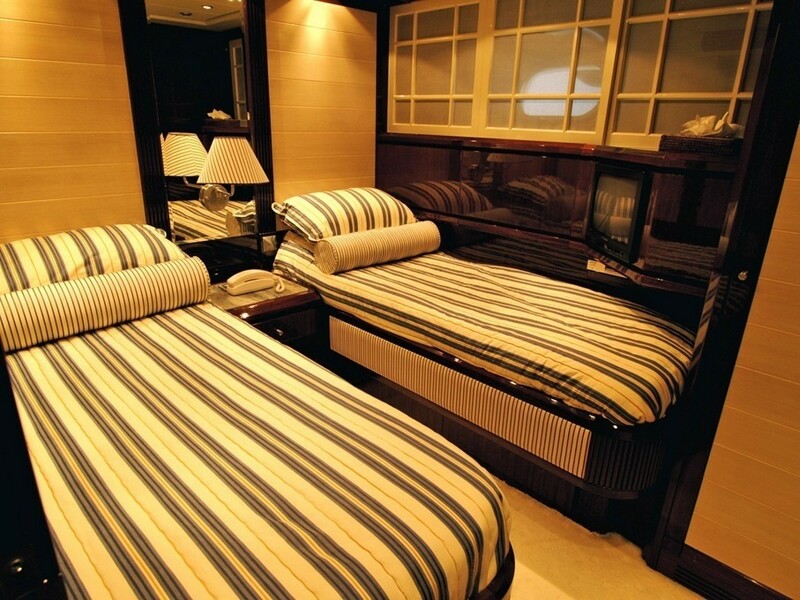 France based luxury motor yacht Equilibrium has accommodation for up to 8 guests in 4 ensuited cabins: She has a full width master cabin with bathroom ensuite., a V.I.P. 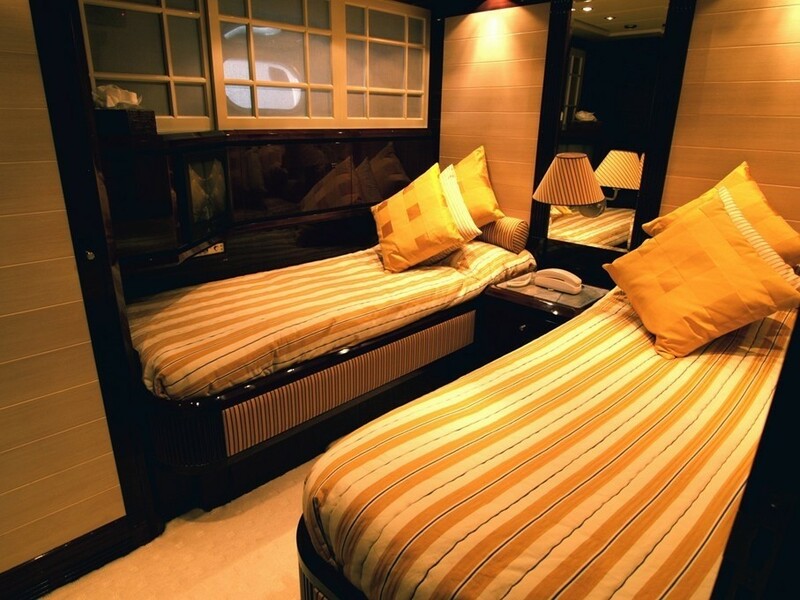 cabin with its own bathroom ensuite and two further twin cabins, each with and ensuite showerroom.